I thank you and your attentive staff for your careful handling of my negligence suit over the last 2 1/2 years. 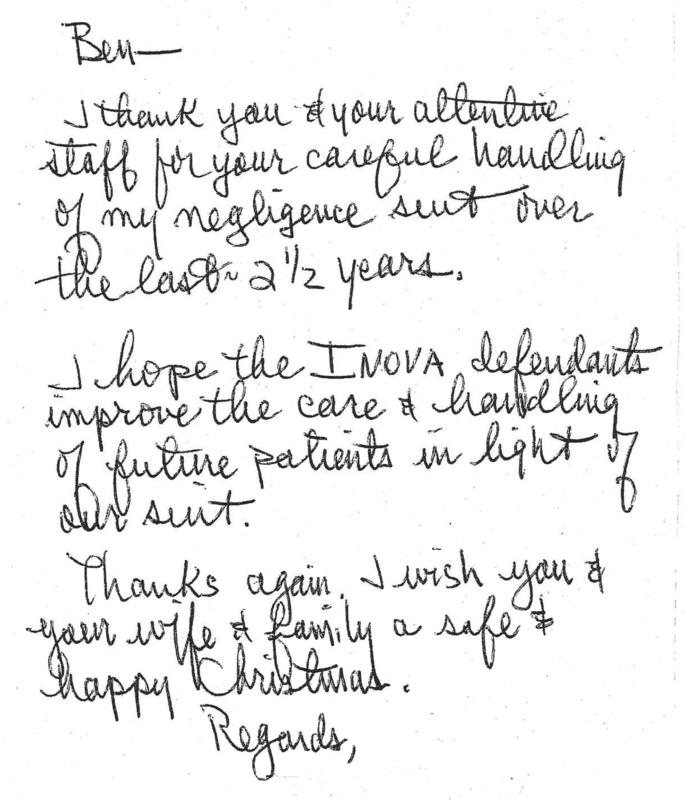 I hope the Inova defendants improve the care and handling of future patients in light of our suit. Thanks again. I wish you and your wife and family a safe and happy Christmas.